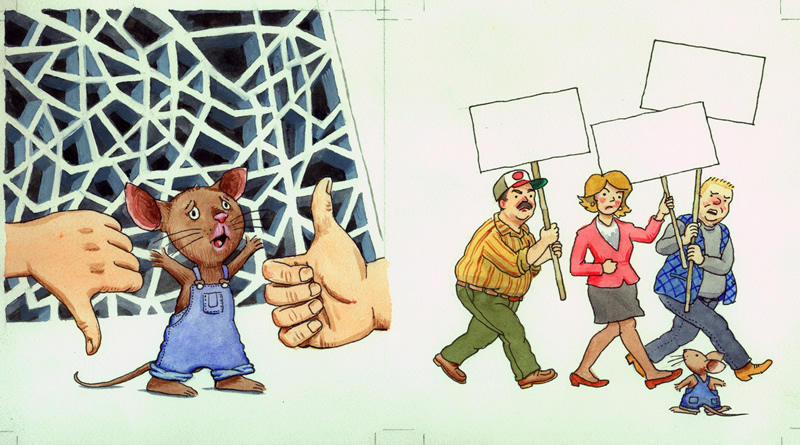 Partial art from 2-page spoof on yet another kid book series. Done with Micron pens and watercolor on Bristol; without going to find it, I would say it's 8 1/2 x 14, the maximum size I can scan in-house. I know I scanned it because of the lousy color balance in the white. Believe me, the originals have no green tint. Sold as set of four spreads, email for pricing.